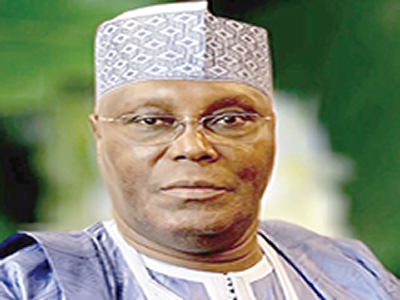 Addressing a press conference, National Leader of the group and National Chairman of the United Peoples Party (UPP), Chief Chekwas Okorie, said Atiku’s endorsement was an embarrassment to the Igbo, which depicted the people as being politically naïve and pedestrian. Okorie said such decision, if necessary, should have been taken at a General Assembly of the apex-Igbo socio-cultural organisation, and not at the Imeobi (elders caucus) meeting that many Igbo leaders were deliberately schemed out due to its timing on a day President Muhammadu Buhari was inaugurating the mausoleum of late Dr. Nnamdi Azike at Onitsha, an event attended by many prominent Igbo leaders. He said his group was disappointed that some of those involved in the endorsement were very conversant with the chequered history of Ohanaeze, and the damage done to the organisation each time succeeding leaders of Ohanaeze dragged it into partisanship. Okorie stressed, for instance, that it was when a few members of Ohanaeze in 1979 endorsed the presidential candidate of National Party of Nigeria (NPN), Alhaji Shehu Shagari, whose running mate was Dr. Alex Ekwueme that Dr. Nnamdi Azikiwe, the only Patron of Ohanaeze and who was also the presidential candidate of the Nigeria Peoples Party (NPP) that Azikiwe himself and other prominent Igbo sons and daughters pulled out of Ohanaeze, which led to its initial collapse before it was revived. Despite the controversy and embarrassment the endorsement had constituted, the UPP national chairman appealed to Ndigbo to be patient and endure the ‘betrayal,’ stressing that his group would not recommend another round of the ‘factionalization’ of Ohanaeze, but that the people should be more vigilant. “This compromising political scam was pulled off by few card-carrying members of the PDP to the deliberate exclusion of other members of the Imeobi, who are obviously in the majority. “We urge the Igbo electorate, who are 30 million voters across the country to join hands with other Nigerians to have a major stake in the imminent victory of President Muhammadu Buhari in the forthcoming presidential election.